Unfortunately, lyrics on apple music is not easy to find on iPhone, iPad and iPod touch. Apple is now giving apple music lyrics for online music played on Apple music app for iOS device. But now you can get contentment about read lyrics with song played in offline or online mode. Most of the dancers, singers and learners blessed with this app works with Apple’s new redesigned Music app with Apple music. Must try because now it’s free (3 month from you signed up) for you, for that you have to register with individual or family subscription plan. After three month apple will charge $9/ month for single user or $14.99/month for family, but you can disable or turn off auto renew apple music subscription or change subscription plane in your iOS device or Mac anytime. That time you must depends on third party app that will show lyrics on Apple music song on your screen, in Very Perfection. Musixmatch is great app that will perfect for you. 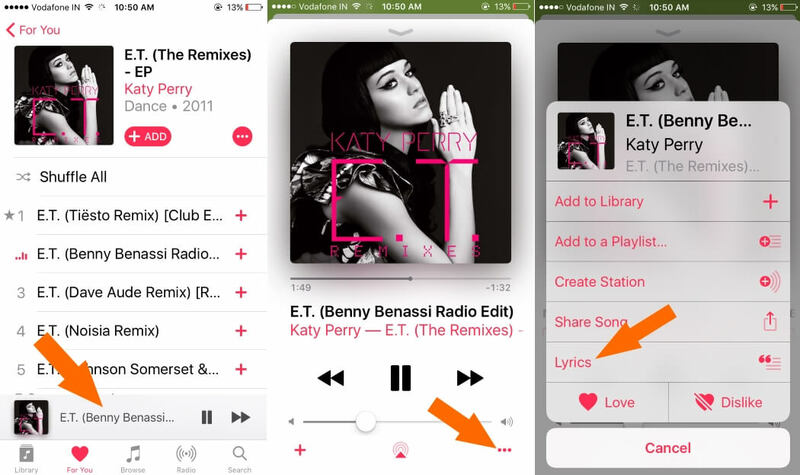 Here I shown two methods how to find lyrics on apple music in iPhone using app or Without App, not only iPhone but also work for iPad, iPod touch running on iOS 8, iOS 9, iOS 10, iOS 11, iOS 12 or later. 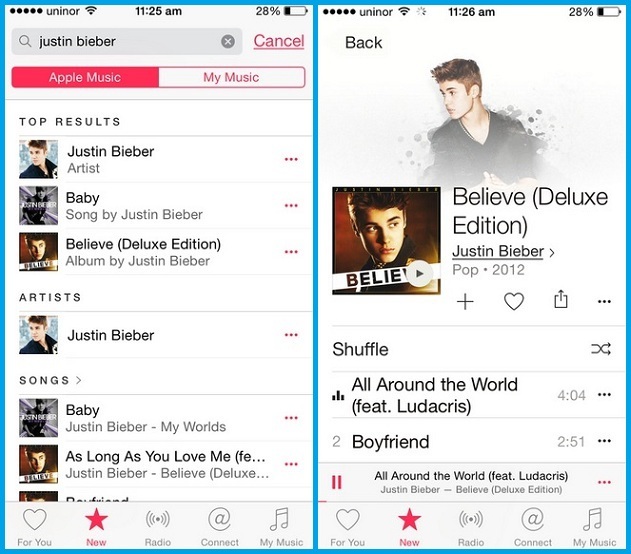 Launch Apple music app on iPhone, iPad. Tap on playing song, Next find three dot icon & Tap on it. From the popup find Lyrics option – Tap on it. Tap on Done for close full screen view. 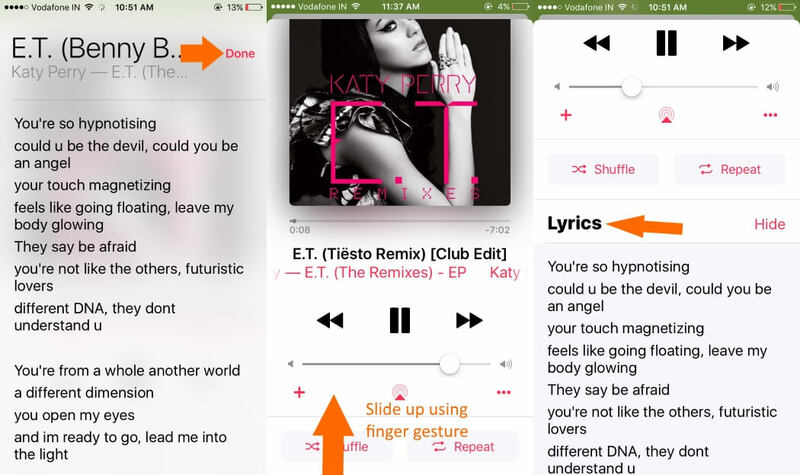 Slide up using finger for read lyrics text on the same screen. Lyrics won’t show on iPhone or Lyrics Not Showing in Apple Music, because of some music restricted under privacy. there’s the possible options for see and find Lyrics on App. 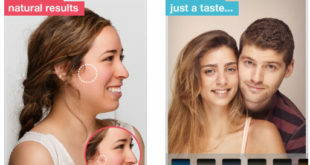 When you play song, this app will give lyrics in caption form. 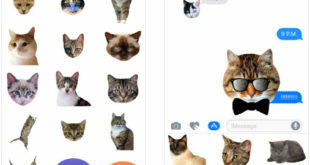 Note: Your iOS must be updated with iOS 8.4 or later. Step 2: Now Go to Music app, Find any of the song that you want to read lyrics. Here, I play justin Bieber’s song. Just play it here. Step 4: Tap on Edit for add app’s view, here for read lyrics. 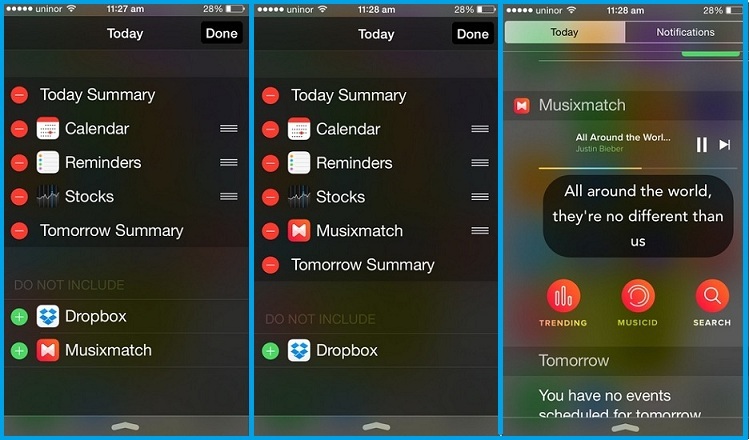 Step 5: if you successfully installed Musixmatch app that app should be appear here, with green mark. Tap on Green plus icon. 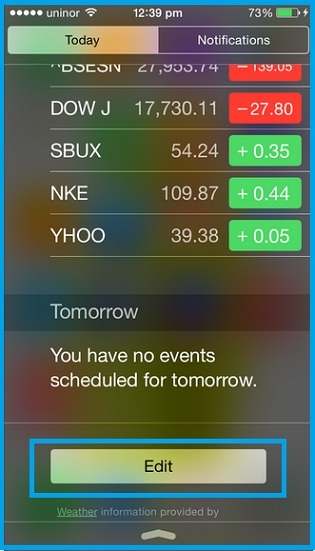 It will be added in notification center list. 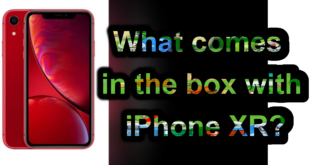 Next Tap on done from top right corner, Then weight for 2 sec your iPhone today view will be sync and player and lyrics text will appear here, Displayed like in third screen. Now more setting about this app: You can customize font size and text type from app setting. Option > Font. In any case you didn’t get lyrics on apple music in iPhone, iPad and iPod touch, Please share with us. We will glad to assist you with possible solution or any other alternative ways.